So, what is Laser Cataract Surgery? Before getting to understand the idea behind Laser Cataract Surgery, it is essential that you get acquainted with the term Cataract. Cataract is one of the leading causes of blindness or loss of vision around the world. It occurs when the eye natural lenses are clouded or becomes cloudy because of clumping of proteins around the eye lens. Most of the time, there isn’t usually the need for surgery except in cases whereby the cataract or their vision is beginning to affect their regular physical activities. When cases like this arises, patients have the choice to choose between the Traditional Cataract Surgery and the Laser Cataract Surgery. The traditional cataract surgery although it is still regarded as safe, the procedure usually involves cataract surgeons using a small blade to enter the front of the eye and another instrument to make a circular incision on the lens capsule to reach the cataract. Ultrasound waves break the cataract into tiny pieces, which are then removed. The new artificial lens is fixed to replace the cloudy natural lens. 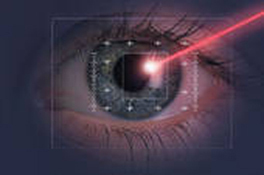 Laser Cataract Surgery is regarded as very safe and highly preferred because of the benefits associated with it. The procedure entails the use of laser light to make the incision and lens opening. One of the reason why lots of patients are opting for this method is because it creates a more reliable, repeatable, precise incision than a cataract surgeon can do by hand. Laser Cataract Surgery over Traditional Cataract Surgery? In recent years, thousands of cataract patients have opted for the Laser form instead of the traditional method because of the precision and reliability it offers. Also referred to as femtosecond laser cataract surgery (FLACS), it reduces the risk of the corneal experiencing swelling which is known to impact the quality of the patient’s vision. This is because laser cataract surgeries require less ultrasound energy to break up the cataract. Also, Laser Cataract Surgery can be effective when it comes to correcting cases of minor astigmatism by reshaping the imperfectively curved cornea in the eye. While this can still be done using traditional method of cataract surgery, lasers offer a better precision during process. If you need a more accurate incision, capsulotomy and astigmatic correction which may help you achieve your goal of less dependence on glasses after cataract surgery, then Laser Cataract Surgery is a great idea.